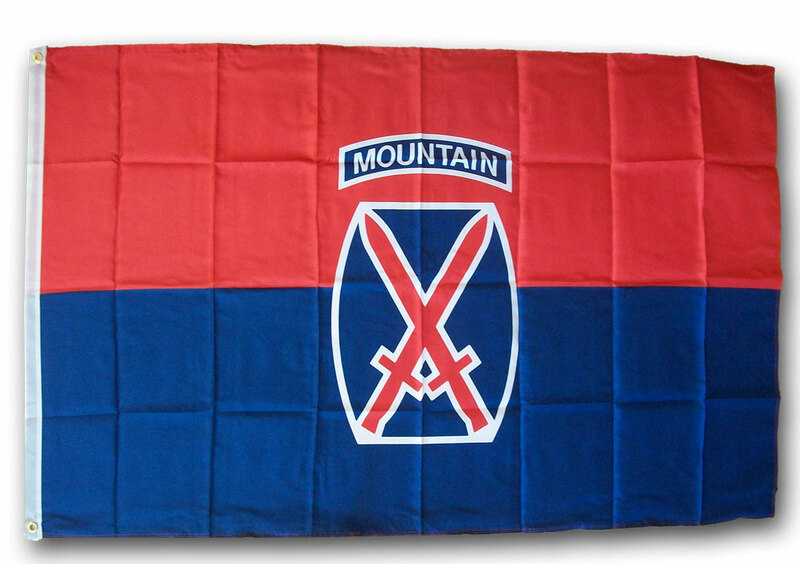 Made of a high quality polyester material, our Dura-Poly 10th Mountain Division flag measures 3' x 5' and includes vivid colors and an accurate design. The flag is screen-printed on a durable 150 denier shiny polyester material and is finished with a double stitched hem. The flag features a white fabric header with two brass grommets on the 3' side for easy display. The flag is best used indoors but can withstand occasional outdoor use. The authentic design is based on information from official sources. The 10th Mountain Division was first activated in 1943 and then reactivated in 1985; with service in WWII, Iraq and Afghanistan.